Back in March Sony rolled out plans on their own Marvel Universe, announcing that Venom would be their first film. While the R-rated, action/horror/thriller Venom film has already been scheduled for release October 5 2018, the film remained without a cast or director. Until now. Early Saturday morning, Sony announced via Twitter that Tom Hardy would be their Venom. The Mad Max: Fury Road and Inception actor is no stranger to comic book films, previously playing Bane in Christopher Nolan’s final Batman film The Dark Knight Rises. 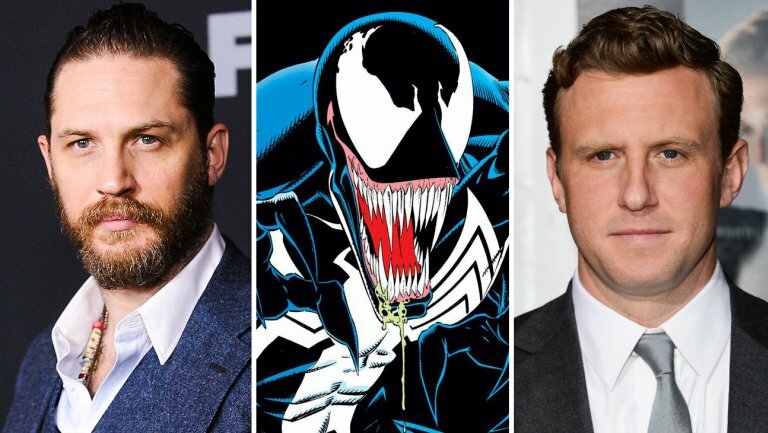 Hardy will be the second person to portray Eddie Brock aka Venom on the big screen after Topher Grace’s portrayal in 2007’s Spider-Man 3. It has also been reported that Zombieland‘s Ruben Fleischer will direct the film, which is being written by The Amazing Spider-Man 2‘s Jeff Pinkner and Con Air‘s Scott Rosenberg. No other cast or story information has been released about the film except that it will not tie into the Marvel Cinematic Universe. So sorry guys – this means the film will not feature Spider-Man: Homecoming’s Tom Holland.